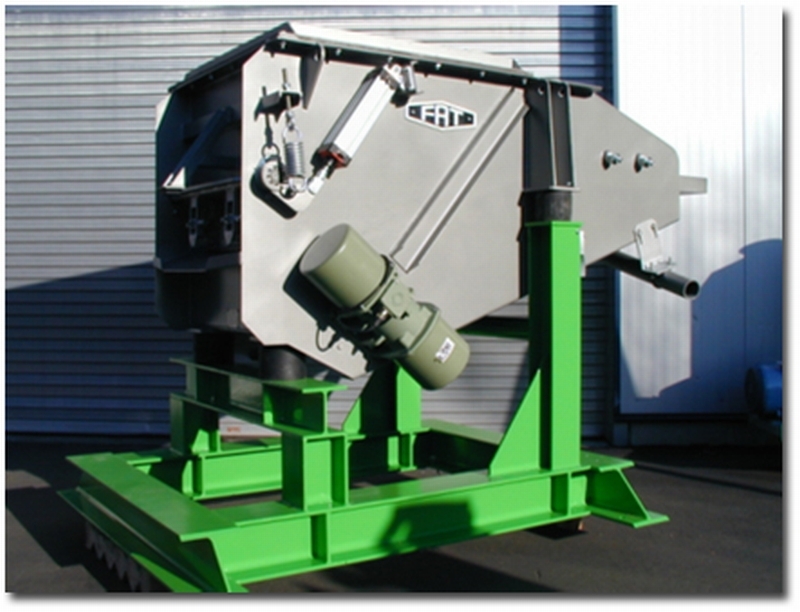 Combination of a vibrating shake-out grid and a sand lump breaker in one single unit. This type of shake-out unit is mainly used for emptying molds made according to the cold-setting process. The mold boxes or mold cods are emptied on a vibrating grid and any sand lumps are crushed to grain size by means of the breaker located underneath the grid.